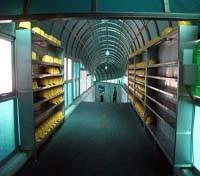 Visit the DMZ and explore the “third tunnel” with expert guide. Shop for traditional Korean treasures along Insa-dong. 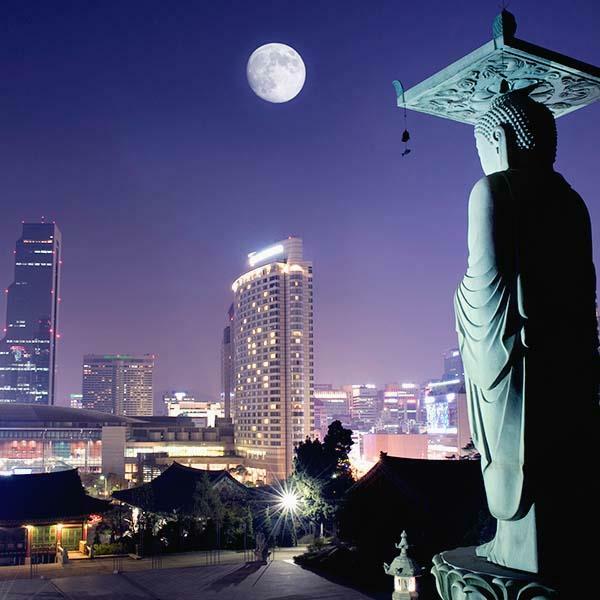 Enjoy a private guided city tour of the highlights of Seoul. Behold a colorful metropolitan of contrasts, one of the most fascinating and overlooked capital cities in the world, Seoul. Tour its ancient gates and palaces such as the Gyeongbokgung (Shining Happiness) Palace, stroll through bustling day-and-night markets filled with calligraphy shops, fortune tellers and streets embedded with stalls offering garlicky treats. Then fast forward to the 21st century while enjoying the comforts and luxuries of your Modern Korean hotel stay. 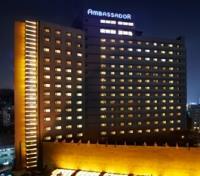 The Grand Ambassador is conveniently located in the centre of Seoul close to all the business districts in the city. The hotel is conveniently located between Seoul's newly developed Gangnam precinct and the traditional downtown area. Itaewon, Namdaemun and Dongdaemun markets are all within walking distance, as are the city's museums, historic palaces and theaters. The hotel features 409 rooms with stunning views of the city, and six international bars and restaurants. The hotel also has an executive floor, and a modern health centre with hydrotherapy, indoor pool, sauna, spa, indoor golf driving range, and a gym. 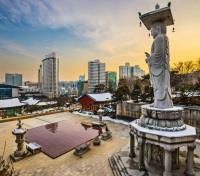 Enjoy this full day tour in and around Seoul revealing some of the many highlights. 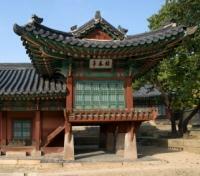 Changdeok Palace is one of the "Five Grand Palaces" built by the kings of the Joseon Dynasty. Because of its location, east of Gyeongbok Palace, Changdeokgung, with Changgyeonggung, it is also referred to as the "East Palace". The Bukchon Hanok Village is the perfect destination for those seeking to learn about and enjoy the beauty of Hanok (traditional Korean-style house). Bukchon is not an official municipal name; rather, it means that it lies to the north of Cheonggyecheon (Stream) and Jongno, the downtown area of Seoul. It used to be the high-end residential district for royal family members and high-ranking government officials. Insa-dong Street one of the most memorable attractions in Seoul and represents the focal point of Korean traditional culture and crafts. Stores in Insa-dong specialize in a wide variety of goods that can only be purchased or appreciated in Korea: hanbok (traditional clothing), hanji (traditional paper), traditional teas, pottery, and folk crafts. Jongmyo is a Confucian shrine dedicated to the memorial services for the deceased kings and queens of the Korean Joseon Dynasty. According to UNESCO, the shrine is the oldest royal Confucian shrine preserved and the ritual ceremonies continue, a tradition established in the 14th century. Such shrines existed during the Three Kingdoms of Korea period but only the shrines for the rulers of Joseon remain. Travel by shared coach and English speaking guide to visit the DMZ and ‘third tunnel’. The Demilitarized Zone (DMZ) winds 151 miles across the Korean Peninsula from the Han River estuary in the west to a point just below the 39th parallel on the east coast. Down the center of the 4,000 meter wide strip, largely undeveloped in the years since the truce was signed, runs the Military Demarcation Line, bisecting the Joint Security Area in Panmunjeom, where meetings and conferences are held between north and south. The third tunnel was discovered in Oct.1978. Almost identical in structure to the second Tunnel, the 1.635 kilometer-long, 1.95 meters high and 2.1 meters wide tunnel penetrates 435 kilometers south of the Truce village of Panmunjeom. It runs though bedrock at a depth of about 73 meters below ground. Capable of moving a full division per hour, plus their weapons, it was evidently designed for a surprise attack on Seoul. Almost identical with second tunnel in structure, this tunnel is only two kilometers from a key outpost depending on the Munsan corridor leading to Seoul. Please note there is a dress code at the DMZ; please do not wear any torn clothing (including torn jeans), no clothing with profanity or offensive writing, no leather pants, and no military uniforms. During the summer no flip flops, short-shorts or miniskirts are permitted.